Teaching Wasps Academy how to Fish. Rugby at the Academy level is aimed to develop young players to progress onto bigger roles with the senior team and potentially selection for their country. My role as the Nutritionist Guy is to facilitate this by teaching them to how to fish; to catch that proverbial salmon so to speak. For myself, nutrition at the academy level comes down to one thing; self-sufficiency. That’s why it’s my job to educate the players to a level so they can take ownership of their nutrition. They need the understanding of why, when and how they’re doing something so they can develop these skills and hit the ground running when they progress onto the senior squads. As a result, bulletproofing their development both physically and educationally for the seven branches of rugby nutrition; (1) adaptation, (2) fuelling, (3) acute recovery, (4) game day nutrition. (5) Staying healthy, (6) Injury nutrition and (7) body composition – the gainers, maintainers and losers. 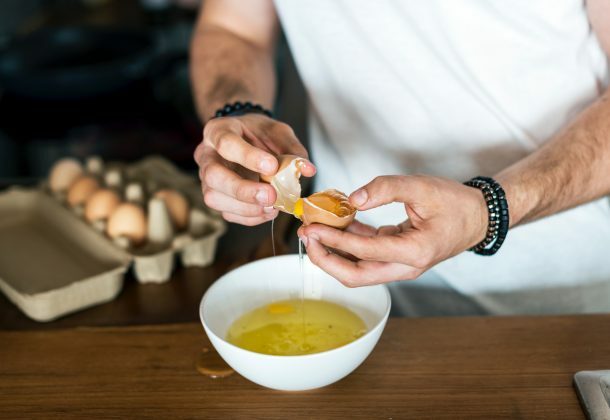 As we know with all aspects of nutrition, information is one thing, however it’s the implementation that often gets missed – We simply can’t have one without the other. To test their fishing skills, an opportunity arose to send them into the middle of the ocean, equipped with a net and some bait with the challenge to feed the whole of Wasps academy team and staff. Well, when I say ‘net and bait’ it was more of a debit card and an alfresco Tesco kinda thing – close enough though bromigo. The scene is set, the head chef boss man; Abbi Gaurav is out of town for a well-deserved break, but the lads still need feeding. Therefore, we split the players up into three groups to cater for the 35-40 breakfast deprived masses. With nothing more than a microwave and toaster, they had to cover four essentials; (1) it met their morning training demands, (2) It was tasty, (3) the presentation was excellent and appealing, and (4) It had plenty of variety to satisfy everyone’s preferences. The outcome of this was simple; If they could feed thirty plus people, they can definitely feed themselves and take ownership of their own nutrition. With two extra goals in mind; good food = good mood and ‘don’t f#cking poison us lads’, they embraced the challenge brilliantly in the week leading up to their first Premiership Cup game. With all challenges and tasks, their needs to be an element of reflection; what went well, what didn’t go so well, how can we improve upon this for next time? And most importantly, what lessons can be learnt? Are they hitting enough protein on a per meal basis to stimulate muscle protein synthesis and therefore amplify the training adaptation? Yes. Did they have adequate amounts and variety of carbohydrates to fuel the morning’s sessions? Yes. Did they have a wide variety of foods to account for everyone’s preference and ensure that everyone was happy after? Yes. Did they find that budgeting is a limiting factor when last minute shopping for food and if done more wisely, it would translate into more financial flexibility in their own lives? Probably….But, we’ll cover the psychology of money on another day ;). 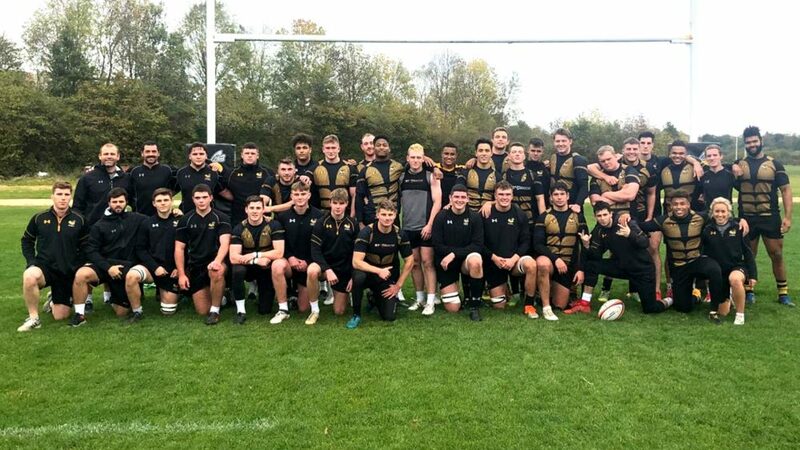 Returning to the original goal for the Wasps Academy Players; can they become self-sufficient.? As it turns out, these lads can fish pretty well. #COYW.